Subaru Forester, Outback, Impreza, Legacy, Baja, Tribeca. Used cars, used vans, used SUVs, used sports cars, used luxury cars, Subaru used cars. 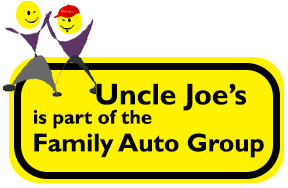 Uncle Joe’s Cars and Trucks is used cars dealership, we offer approved bad credit financing and easy approvals.